Sweet taste, ideal for cooking or dressing any dish! The mustard in this glaze adds a lot of flavor, perfect for cooking or roasting meat and game: ham, chicken, pork roast. 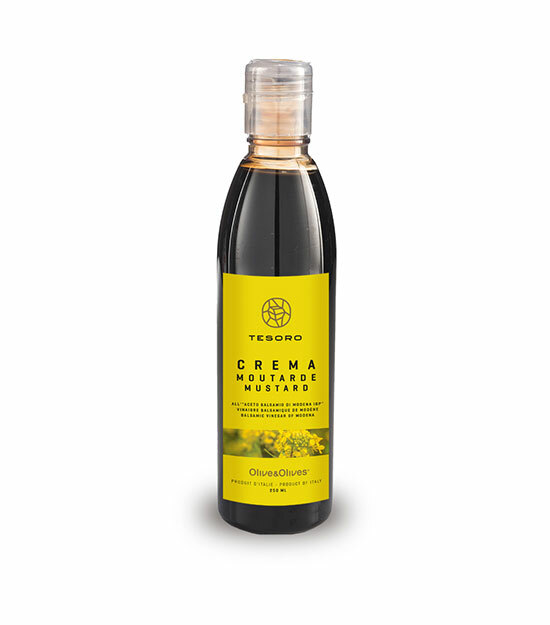 Grape must, Balsamic Vinegar of Modena 35% (wine vinegar, concentrate grape must), mustard 2%, modified starch. Contains natural sulfites present in the raw materials.